The only thing I can think to say about the past few weeks is UGH. That tiny word sums everything up perfectly. The depths of winter have officially tried to sink me. The winter funk has arrived, heavier than ever before. Have you guys listened to the song Up With the Birds by Coldplay? I am a bit of a CP fanatic. Dan rolls his eyes at me any time I mention Coldplay. This song, though, it is really great. On my sad days, it uplifts me. On my happy days, it makes my smile a little bit bigger. I am listening to it now as Dan gives Sammy his first-ever shower (fairly certain it isn't going so well) and as I listen to the combine harvest corn a few feet from our dropzone trailer. 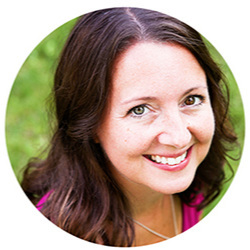 This is Week #46 of my 2011 cooking challenge! Click here to view all recipes from this challenge. All recipes created for this challenge come from the Food and Wine Annual Cookbook 2010: An Entire Year of Recipes. I feel like a bit of a two-timer. I've had a favorite muffin for years, and now I'm suddenly dreaming of another. My old muffin still has a special place in my heart, but this new one gives me butterflies. I'm one of those people who goes to a restaurant and doesn't stray much from the usual order. When I find something I love, I stick with it! 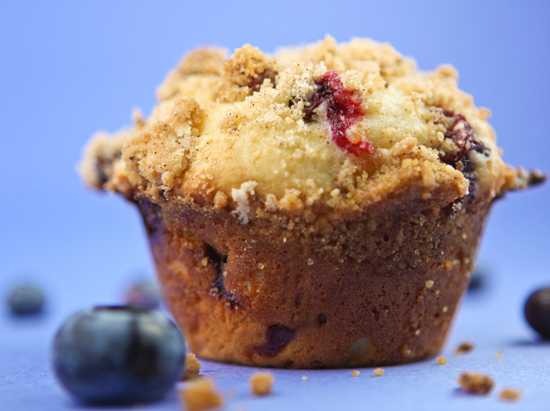 So when it was time to make this muffin recipe, I almost felt like it was a waste of time. Like any other muffin than my usual would be a huge disappointment. And I could not have been more wrong! I am now feeling inspired to order something besides the Spinach Veggie Wrap (for the 273rd consecutive time) at Jason's Deli! Rub with your fingers to form coarse crumbs. Refrigerate until ready to use. 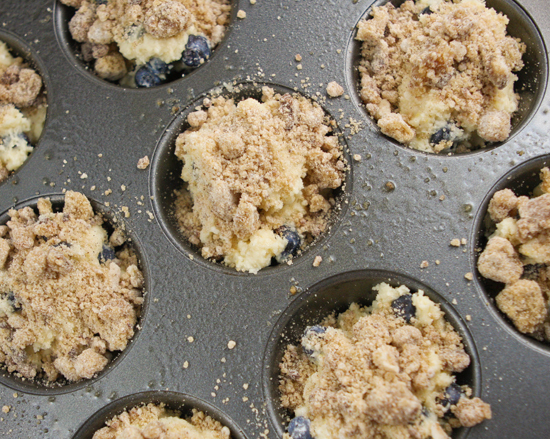 Spray a 12-cup muffin pan with cooking spray. In a large bowl, using a hand-held mixer, beat 1 large egg at medium speed until frothy. Beat until pale yellow, 1 minute. Add the dry ingredients and beat at low speed until almost blended. Fill the muffin cups three-fourths full of batter and sprinkle with the topping. Bake in the preheated oven for 25 minutes, or until a toothpick inserted into the center comes out clean. 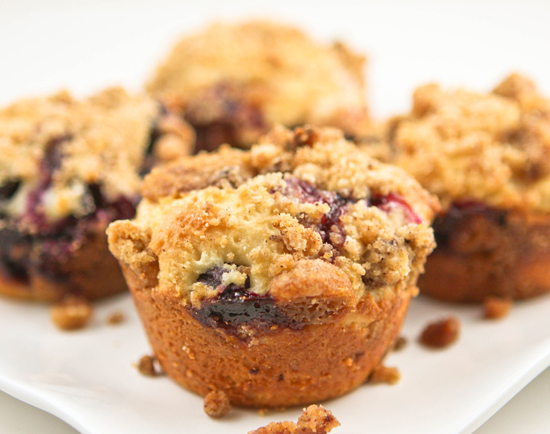 Remove the muffins from the pan and allow them to cool on a rack. 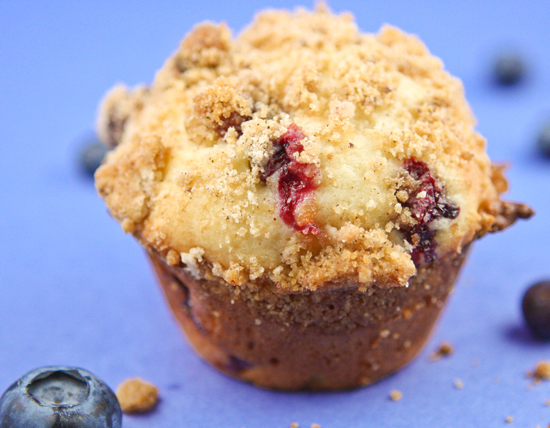 You'll be two-timing your favorite muffin in no time! 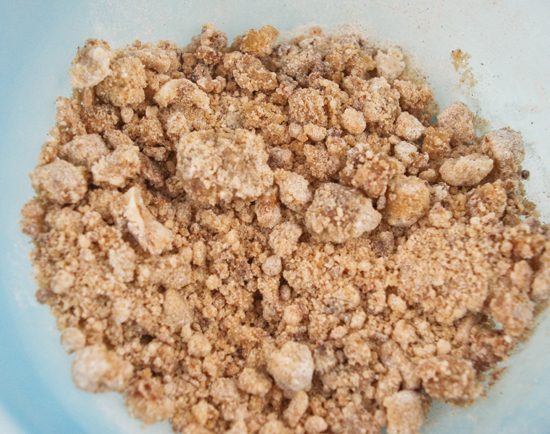 MAKE THE TOPPING: Preheat the oven to 375 degrees F. In a medium bowl, combine the brown sugar, flour, butter and cinnamon. Rub with your fingers to form coarse crumbs. Refrigerate until ready to use. MAKE THE MUFFINS: Butter a 12-cup muffin pan. In a medium bowl, whisk the 1 ½ cups of flour with the baking powder, baking soda and salt. In a large bowl, using a hand-held mixer, beat the egg at medium speed until frothy. Add the sugar and melted butter and beat until pale yellow, 1 minute. 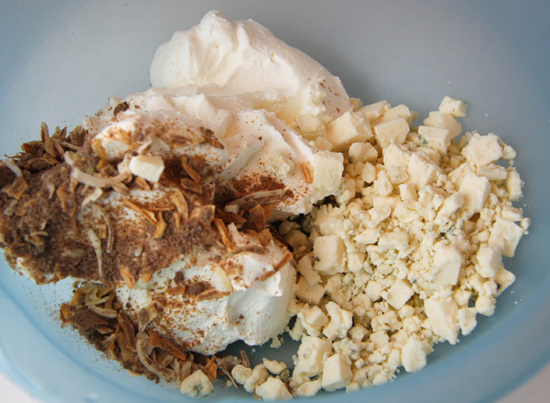 Beat in the sour cream, vanilla and lemon zest until blended. Add the dry ingredients and beat at low speed until almost blended. 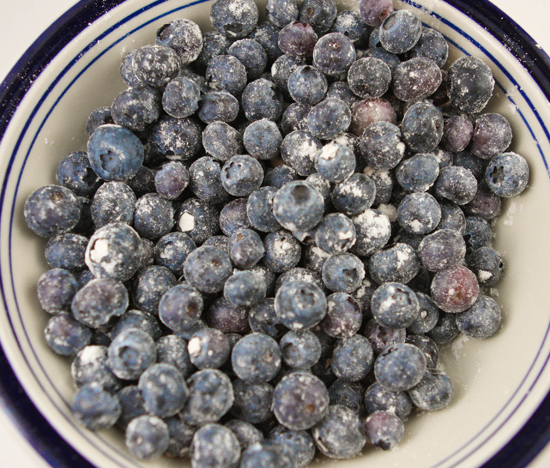 In a bowl, toss the blueberries with the remaining 1 tablespoon of flour. 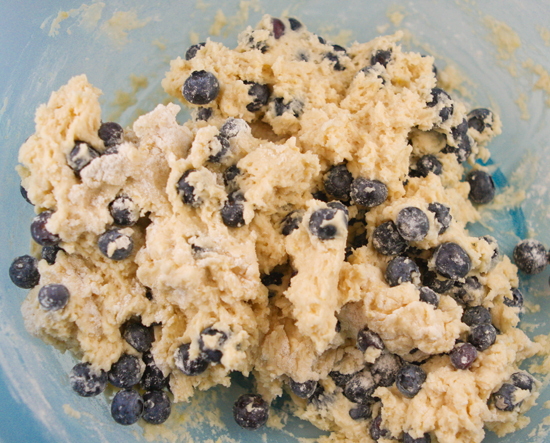 Using a rubber spatula, fold the blueberries into the batter. Fill the muffin cups three-fourths full of batter; sprinkle with the topping. Bake for 25 minutes, or until a cake tester comes out clean. Remove the muffins from the pan; let cool on a rack. 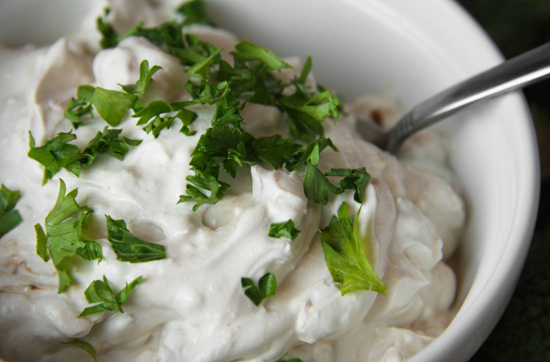 Mix together this creamy, flavorful sour cream based dip. Blue cheese and onion soup mix blended together makes a simple, yet delicious way to enjoy fresh vegetables! You can also dip a cracker or pretzel in. Guaranteed to be devoured! My husband and I have a common love of dips. Slow Cooker Hot Corn Dip or Zingy Black Bean Dip, you name it we want to try it! It is one of the first things we discovered that we both enjoyed, along with skydiving, kissing and margaritas. Not all together. Well, dips and margaritas go together (we have even managed to make skydiving and kissing go together, ha!). When we were first dating, we made a lot of different dips and we would sit out on my patio and eat and talk until the sun went down. Aaaaahhhh, those were the days. The appetizer/dip section of our personal recipe book is pretty extensive, but we are always looking for things to add to it. 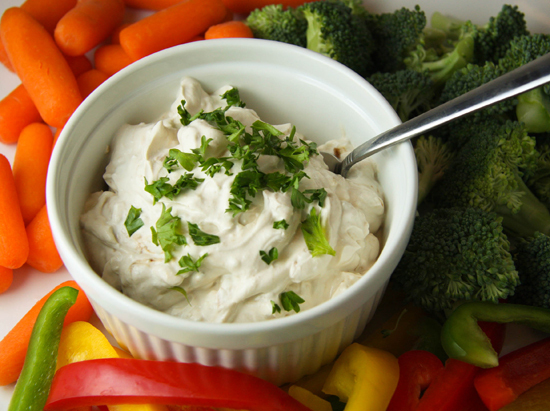 We recently discovered this simple, yet delicious little dip that tastes wonderful with chips, crackers and veggies alike. How long does onion dip last? The great thing about onion dip is that it is great the first day but also tastes even (almost) better the second day. You can seal this in a air-tightcontainer for about 2 weeks in the fridge. Do I have to use sour cream for my dip? There are many different recipes that use other bases for this dip. This is just one and it’s really tasty. A plain yogurt would also work. It is a perfect party staple and it is guaranteed to get devoured. Baby carrots will undoubtedly be found scraping the sides of the bowl, searching for every last morsel of dip yumminess. Simple yet delicious! Guaranteed to be devoured! In a medium bowl, stir together sour cream and dry soup mix. Stir in bleu cheese. If desired, cover and chill for up to 48 hours. Sprinkle with parsley just before serving and serve with vegetable dippers.